Wondering how some people ALWAYS manage to look like they've just come back from a vacation? Let me introduce you to their secret, favourite weapon - bronzer. 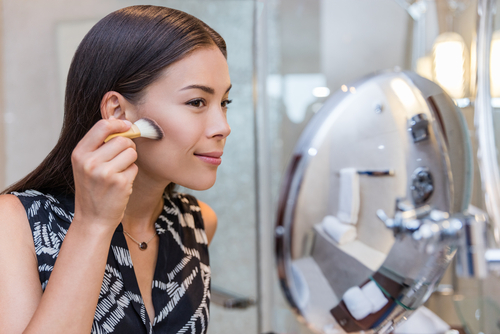 A good bronzer in your vanity goes a long way. Right from creating those Kardashian cheekbones to faking a healthy sun-kissed glow! But before you decide to take the plunge, make sure you know the basics! Check out our easy bronzer hacks and you'll be glowing all year long. It's important to buy the right bronzer for your skin type. Some bronzers have an overwhelming orange undertone to them and may leave you looking like an Oompa Loompa. 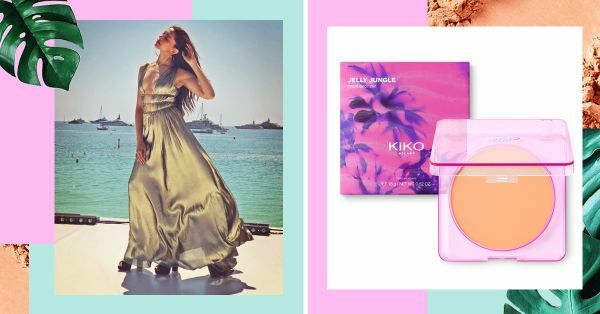 The Kiko Milano Jelly Jungle Bronzer (Rs 1,500) and the Milani Baked Bronzer (Rs 1,125) are absolutely stunning if you're looking for a shimmery bronzer. They are perfect for fair to medium Indian skin tones. When you're applying bronzer, it's important to stop and think about where the sun would hit your skin. The aim is to look bronzed and glowy, so the placement is key. If you're using a matte bronzer, place it in the shape of the number 3. This is the easiest, beginner friendly way to bronze up! Start from your forehead coming down to just a little bit under your cheekbones and finally completing the number 3 under your jawline. Use a large fluffy brush or a kabuki brush to blend out any harsh lines. If you're using a shimmer bronzer, take a fluffy brush and bronze your cheekbones and add a little bit on your nose. This will make sure you look super glowy whenever the sun hits your face! The PAC Contour, Bronzer Brush - 326 (Rs 595) and the Real Techniques PowderBleu Plush Kabuki Brush (Rs 2,099) will have you bronzed up to perfection. 3. Blend, blend and then blend some more ok? Blending your bronzer and contour is very important. You don't want to end up with a harsh line of makeup on your face, right? Whether you're trying to hide that double chin or bronze up a round face, blending is going to be your bestie. Take a kabuki brush or a small fluffy brush and blend your bronzer in until you don't see any lines. 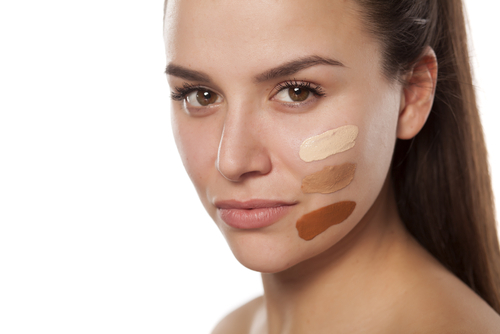 Your bronzer and contour should look more like a natural shadow versus a harsh line. Mix a little bit of bronzer in your body lotion for a gorgeous all-over glow. This is one of the best-kept runway secrets. You don't need a liquid bronzer to glow like a supermodel. You could use your regular shimmer powder bronzer too. Shave off a little bit of powder and mix it with your body lotion or foundation for gorgeous vacation skin all over! And if you don't want to apply lotion, you could also take the large fluffy brush and dust a little bit of bronzer on your collarbones, your chest, neck and shoulders! If you're wearing a dress, feel free to bronze the front of your legs too! Your bronzer can be far more than just that, add some matte bronzer to your eyes for a quick and easy eyeshadow look. Take the shimmer bronzer and dust it all over your eyelids. 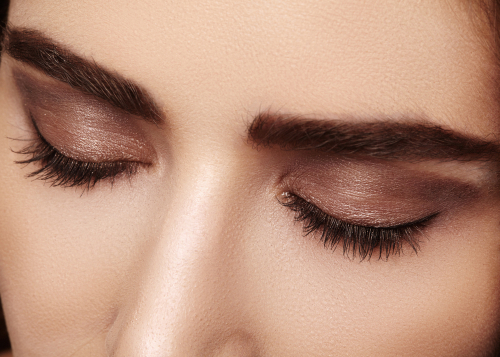 This 2-minute eye makeup look will compliment your bronzed skin! Feeling wild? Mix your shimmery bronzer with your blush and apply it to your cheeks. The bronzy rosy glow will definitely fetch you a ton of compliments. That's all ladies, go get your glow on.